Finally, Google announces the new android 5.0 Lollipop formerly announced as android L, which would make it's immediate debut on Nexus 6 and Nexus 9. Not just the Nexus latest smartphone would roll out this update, but also, the HTC co-operation also made it known that the update would be rolled out on there HTC M7 and One 8 devices. This time, android 5.0 lollipop comes with some great striking schemes to the operating systems of smartphones, smartwatches, tablets and many more. And that pretty shows how great the Google designers have been performing recently. 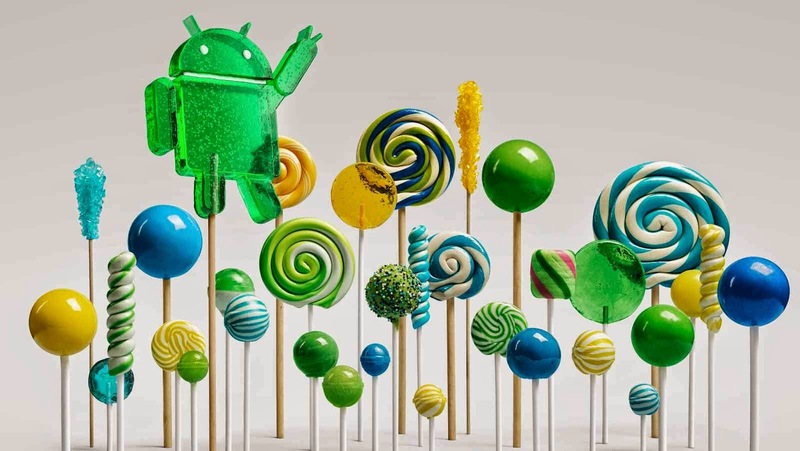 The Android 5.0 Lollipop is released with some exciting features in it. The android 5.0 lollipop updates comes with the SELinux, which really enforces all applications, which simply renders us a better protection against malwares and vulnerability. The security is also smartened up, that is, also works with your smartwatches, that is, if your pin or screen pattern is connected with it. The android 5.0 also let's you host notifications on the lock screen, and also let's you setup the amount of notifications you wish to host and let's you setup what sensitive contents in the notifications you wish to hide. This time around, android users is likely to have more controls over the notifications that comes in and out there device. And with the volume button, you can easily set the sound level of the notifications coming in, which avoids you from some certain distractions, a the case may be. The Android 5.0 lollipop also comes with an advanced 3D effect multitasking panel, that flicks between apps and web page. This time, more data usage would be consumed with this latest development. It also comes along with effective multi users, unlike your computers, you can now create a guest mode for another user, that's if you want to render your device to someone else. And this multi users features let's you share your device easily with someone else, and enables you keep your private contents save. The Android 5.0 Lollipop also introduces a new feature called project volta, which helps to extends battery life. With this great features, app developers can easily create battery friendly apps, which prevents your device from easy battery drainage. And for users, it enables you have more battery informations, letting you know possible things that causes your battery drainage. The android 5.0 lollipop also has a built-in battery saver that automatically prevents your battery from easy drainage by reducing some programs that drains the battery and helps you make some setup, like switching the brightness of your device and many more. The Android 5.0 Lollipop also comes with a better look on android devices with cool material designs. Google says that the android 5.0 makes for more “tangible” and also “intuitive” interaction. And the on-screen navigations is said to be simplified basic squares, circles and triangle shapes. And the animation looks smoother, consistent and responsive UI with a bold colour. I really appreciate the material design of the android 5.0 lollipop. Better run time and performance. The android 5.0 lollipop performance is really impressive with better running user interface. It also supports 64bits devices like the desktop CPU and iPhones. Enhanced Quick setup on the top bar of the screen for easy setup of the flashlight, screen rotation, hotspots, easy wi fi toggle, bluetooth, location and many more. Powerful search which enables you search anything on your device or web page. Even the “OK Google” features is included, even when your device screen is locked which takes you into a deep search and many more. The Android 5.0 Lollipop is just pretty cool. The above features explained, simply reveals the bright side for android users. For now, this is all we know about the android 5.0 lollipop. Meanwhile, we would keep you updated if there is any other latest advancement on the operating system. Simply like us on facebook page via here and also join our email readers via here, to get latest tips and tricks about your android device.